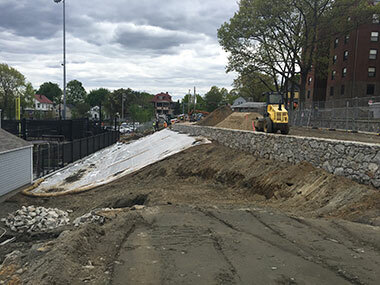 ​The bank from the new stone wall east toward Glay Field and the Parking lot is almost ready for landscaping. 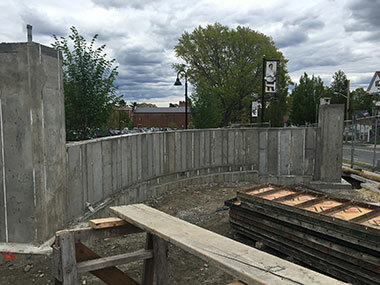 Both of the pedestrian gate side walls have been poured, along with the center wall. They will be finished with a granite veneer.